One of the most controversial figures in Virginia politics is calling it quits. In his final state of the county address, Prince William County Board Chairman Corey Stewart said he won’t seek a fourth term as chairman. Stewart has often been a lightning rod for controversy, starting in 2007 when he pushed for one of the toughest crackdowns on undocumented immigrants in the nation. He later became one of President Donald Trump’s most vocal supporters. And he embraced confederate memorials in the wake of the violence at a white nationalist rally in Charlottesville. Just weeks after losing a GOP gubernatorial primary, he launched a U.S. Senate campaign with a caustic promise. “I’m going to run the most vicious and ruthless campaign,” he said. But Sen. Tim Kaine soundly defeated him in November, and Democrats have gained strength in Prince William County. 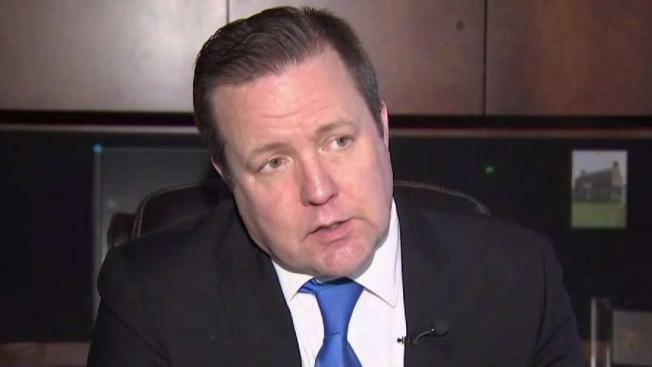 “Glad Corey Stewart finally realized peddling hate is not the path to victory in Prince William,” state Del. Hala Ayala, D-51st District, tweeted. Stewart conceded winning again could have been tough. Stewart said his greatest accomplishments have been lots of road building and his undocumented immigrant crackdown. He said he has no regrets about his combative style, which even alienated many Republicans. Stewart might not finish his term if the right job comes along. As an international trade attorney, he hopes there might be a position for him in the Trump administration. “There’s a couple of positions that are open, that are vacant, where I know I could do a good job implementing the president’s policies very, very well, in a loyal way,” he said. Stewart said if Virginia’s political pendulum does swing back his way someday, he might become a candidate once again.